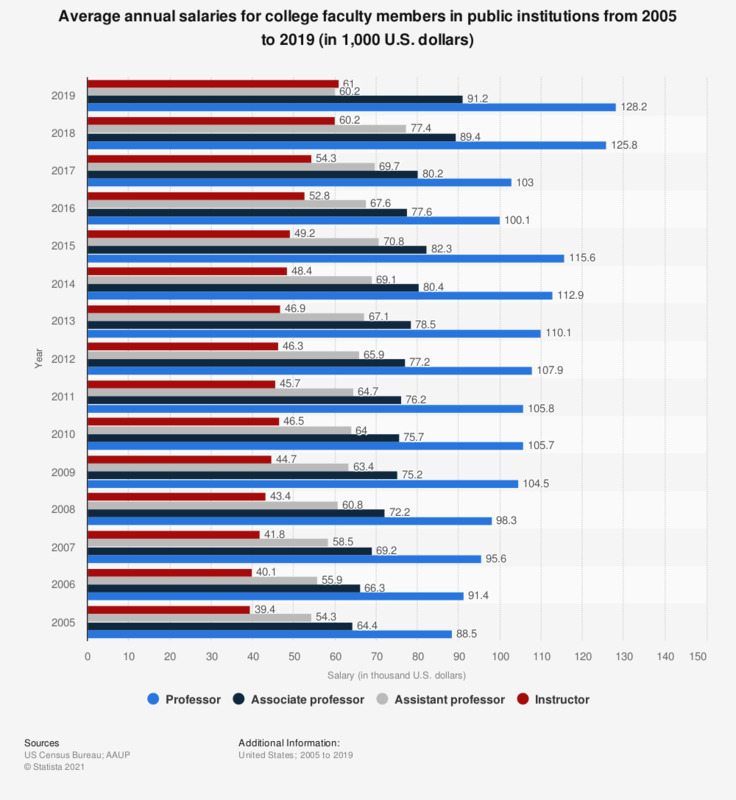 The graph shows the average salaries of college faculty members in public institutions from 2005 to 2018. The average salary of a professor in a public college in 2018 was 105,600 thousand U.S. dollars. * Data excludes church-related colleges and universities. Data prior to year 2016 has benn derieved from respective previous publication.